eUKHost Reviews (2019) - Why Choose eUKHost Web Hosting? Based in Leeds, England with three data centres scattered across the South Eastern counties of Berkshire and Buckinghamshire, eUKhost eschew the modern trend of web companies pitching themselves as one-stop-shops for business owners and focus predominantly on delivering the best web hosting services possible. Sure, they do offer a few extra features, such as an in-house website builder and domain registration (more of both later on in our review), but for the most part, the company stick to what brought them to the dance 15 years ago; quality hosting at cost effective prices. In their company bio, they make much of their status as the go-to provider of choice for public sector organisations, but that’s not to say they’re not suitable for private enterprises too. In the following guide, I’ll discuss my personal experience of using this UK web host, and provide an in depth review to help you make an informed decision as to whether eUKhost are right for you. As one of the UK’s leading hosting providers, it’s no surprise to find that eUKhost offer a variety of packages ranging from low cost shared hosting plans all the way up to large-scale enterprise solutions. For the sake of a fair and accurate comparison with other hosts featured on our website, I’m going to look at the former today, with a particular focus on their Basic, £3.33 per month plan. First though, let’s discuss some of the key differences between the company’s Linux-powered solutions versus those running on Windows. Though both options can be used to host most types of website, Linux hosting often serves as the better option for newcomers, those running Content Management Systems like WordPress, and for hosting websites designed with What-You-See-Is-What-You-Get (WYSIWYG) editors like Dreamweaver. Windows meanwhile, is better suited for more advanced needs, particularly those hosting web applications with ASP and ASP.NET requirements. With eUKhost, both options are priced the same, and that £3.33 per month will get you a basic hosting package no matter which one you choose. The difference however, is that whilst you get an extra 1GB of storage space for your basic Linux plan than you do with Windows, the latter’s £4.99 Intermediate package comes with 50GB of space compared to the former’s 10GB. In this writer’s opinion, that only makes sense since those running the kind of sites and applications that Windows is better suited for will typically require more space than your average Linux-hosted WordPress site. With all that being said, I’m going to focus predominantly on the Linux version of their basic package for the remainder of this review as it’s this package that is going to be the most appropriate option for the majority of users. Though I stand by my usual argument that unlimited storage space is always preferable to a fixed amount as it does give your site plenty of breathing space to grow, the 2GB on offer here is generous enough to meet the needs of most modest-sized sites, and does provide good value for money when compared to the long-term, non-discounted prices charged by the brand’s competitors. Indeed, while you may find cheaper first-term deals elsewhere, such as with 1&1’s £0.99p per month or iPage’s £1.99 per month Essentials package, once that discount period expires, you’ll be paying a lot more than that. With eUKhost’s fixed-term pricing, you actually get a better long-term deal and a clearer idea as to how much your website hosting is going to cost you. What’s more, since the company doesn’t tie you into a minimum contract, you can cancel at any time without losing huge chunks of cash. In terms of pricing alone then, I’m happy to report that eUKhost offer one of the better priced deals out there for UK website owners. In keeping with typical hosting industry standards, eUKhost offer a free domain name when you sign up for a yearly or two-year plan. After that, you’ll need to pay the company’s regular domain renewal fees, which range from £5 per year for .co.uk to £8.99 per year for .com, .org, and .net, with premium TLDs like .eu, .info and .mobi costing between £10.80 and £19.99 on an annual basis. 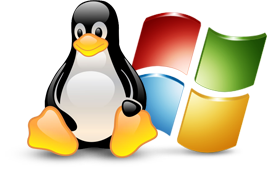 All of eUKhost’s Linux and Windows shared hosting plans come with unlimited addon, parked and sub domains. You can also attach multiple domains to your account to run several different websites, though given the limited amount of disk space that comes with Basic, I’d suggest that if you are planning to do this, you might want to look instead at the 10GB Intermediate plan (£4.99 p/m) or even the Advanced, 20GB package which will cost you £6.66 per month, which is still a devilishly good deal if you ask me. eUk’s Linux hosting plans use the popular cPanel management dashboard. Anyone with even limited experience in hosting a website should be familiar with this tool as many top hosts use it as their preferred control panel platform due to its ease of use, simple navigation, and wealth of impressive features. Meanwhile, Windows hosting users will be managing their sites using Plesk, the industry-leading dashboard tool for Windows-based accounts. With both, you’ll find everything you need to manage your account and launch applications separated into clearly-defined sections and represented by both text and visual icons. Combined with one-click installations, set-up wizards and a useful help files (more of which later), both beginner and advanced-level website owners should have no problem in getting up and running quickly and efficiently. Meanwhile, creating an account itself is as effortless as choosing your plan, selecting a domain name and contract length, and making a payment. Depending on your level of expertise, I’d say it should take you no more than between 30 minutes to an hour in order to go from eUKhost’s homepage to launching your first website application. Unlike other hosts who boast of 99.99% uptime at all times, eUKhost are a little more modest in their guarantees. Each account comes with a Service Level Agreement which promises a minimum of 99.5% uptime 24/7. In my own experience, I’ve found that they typically do much better, and having hosted a site with the company for close to 12 months now, I’ve never yet had to take advantage of the company’s promise to provide compensation should the uptime period drop below 99.5% in any given month. For businesses targeting a predominantly British audience, eUKhost’s three England-based data centres (in Reading, Maidenhead, and Milton Keynes) provide better site speed and performance than you’d get if you were hosting your site on a server based in the USA or Mainland Europe, whilst the advanced redundancy guarantees that a backup is always available and ready to be deployed immediately should a single server or -heaven forbid- an entire data center run into issues. Overall, I wouldn’t say that eUKhost are particularly amazing when it comes to performance and uptime compared to their competitors, but I have no doubt recommending them as a solid, reliable choice for UK websites. Advanced users will be glad to note that eUKHost’s Linux packages come with all the standard features, such as support for Perl, Python, Ruby and multiple versions of PHP, along with instant access to Cloudfare for boosting your site performance, pre-installed CGI scripts, and cron jobs for automated task scheduling. You’ll also have access to SSH access, IP blocking, and GnuPG encryption. So far, so good for users who need those tools, but what about those of you looking for a fast, simple way to launch a great looking website? 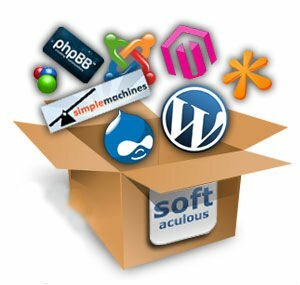 As per the industry norm, the company’s cPanel hosting comes complete with Softaculous, a powerful tool which provides installation of top applications, Content Management Systems and software. Whereas some leading web hosts will bundle a free drag-and-drop website editor into their shared hosting plans in an effort to provide better value for money, eUKhost follows the model used by the likes of 123-Reg in that, whilst it does offer this kind of website builder, it does so as a stand-alone package. The company’s platform of choice is Amazing.Website which, sadly, isn’t all that amazing. Plans range from £4.99 p/m for a simple five page, 10GB plan up to a £14.99 Enterprise solution with unlimited pages, storage and email. These prices are on a par with other sitebuilders, and actually a little cheaper than industry leader Weebly.com, but I think it’s fair to say that you get what you pay for with Amazing.Website. The pre-designed templates, whilst not exactly terrible, do leave an awful lot to be desired. Most templates follow a similar formula -header, slider, content- and seem to be based on popular WordPress templates without actually delivering the same kind of quality as you’d get with that CMS. I gave Amazing.Website a trial run, and found that whilst it wasn’t difficult to use once you got it into it (those building their first website should find it pretty straightforward), the actual interface was terribly buggy and slow to load, and frequently timed out. If you are looking to use a simple drag-and-drop editor to build your website, I wouldn’t recommend eUKhost and Amazing.Website. Instead, you might be better paying a little extra for Weebly.com itself or, if you want the benefit of additional hosting features, iPage Essentials, which comes with Weebly bundled in. At the start of this review, I talked about how eUKhost weren’t trying to compete with the likes of GoDaddy and 123-Reg in being an ‘All Web things to All Web People’ kind of company, instead focusing purely on quality web hosting. For the most part, that does work in their favour, though it does mean that anyone looking for a comprehensive suite of in-built tools to promote their website will be somewhat disappointed. A number of web analytics and SEO tools are bundled in with cPanel, which is something of a compromise, but for all the good they do, eUKhost are definitely lacking in this area. Though I’d be inclined to recommend something more powerful than a 2GB shared hosting plan an eCommerce store, it is worth noting that all the usual shopping carts and eCommerce software are readily available through cPanel and Softaculous. Zen Cart, osCOmmerce, Cube Cart, PretaShop and other major players can be installed at the click of a button, though as I say, with a limited amount of space -even on the premium level plans- this might not be the best option for a large-scale online store with plenty of traffic. Even if you’re starting small and don’t require anything more than the storage limits that come with eUKhost’s shared plans, it’s worth investing in an SSL Certificate, which provides vital encryption to keep financial data and other sensitive information that users enter into your site safe, secure, and out of reach from prying eyes. Most hosts will charge an additional fee for these (though some, like HostGator, do include one in their top-level Business packages). eUKhost are no exception. Where they do come into their own however, is that they offer some of the best prices on SSL that I’ve seen, with standard 2048-bit encryption SSLs costing between £29 – £320 per year. Since they first launched back in 2001, this UK-based hosting company have developed a reputation for delivering outstanding customer service 24 hours a day, seven days a week. Based on my own experience, it’s easy to see why. The company provide all the three main support channels, including email, Live Chat, and a freephone contact number (much better than seeing your phone bill rack up if you’re on hold with other web hosts), all of which offered very quick response times and helpful service. I tried each method twice and found that all of my issues (changing name servers, a genuine problem connecting via FTP, and questions about upgrading to a Virtual Private Server) were all handled first time round by friendly representatives who spoke in clear, beginner-friendly terms. As you’d expect, there’s also a comprehensive knowledge base packed with answers to frequently asked questions and helpful walk-throughs. These all follow the same Plain English approach as the live support, and only serve to enhance eUKhost’s reputation as Britain’s best when it comes to solid, efficient customer service. While the company excel at customer service, there isn’t much else they do that is all that remarkable, not that this is necessarily a bad thing. Sure, they may not boast global brand recognition like GoDaddy and HostGator, nor do they provide a comprehensive suite of features to manage your entire online presence such as you’ll find with the likes of 1&1 and iPage, but the company’s no-frills, stick-to-the-basics approach does make them one of the best in the UK. The Leeds operation do one thing -solid, affordable web hosting- and do that one thing really well. For British-based websites, I’d have no problem recommending that you at least take a look at eUKhost.